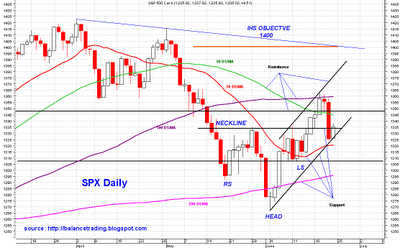 On Friday, SPX managed to close above the neckline which is bullish. I think this rally will continue in the coming week and chances are excellent for SPX to test and close above its 50 and possibly 100 D-SMA's by week's end. In my LT, I did my fourth and final buy of RTS stocks last Thr. I also bought my third buy of index ETF's. My plan is to do my fourth and final buy of index ETF's sometime this coming week. 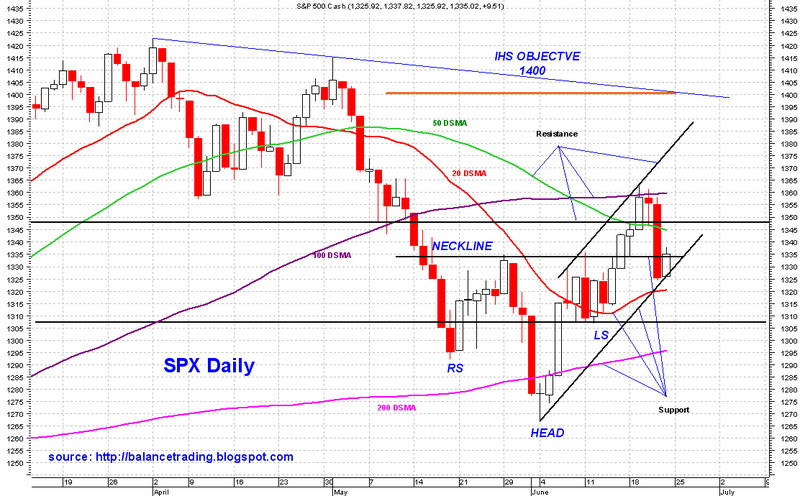 SPX could sells off intraday to back test its 20 D-SMA around lower 1320's or support around 1310. Those would be good entry points for opening long positions.